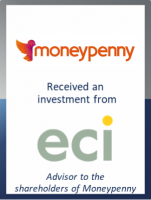 GCA Altium has advised the shareholders of Moneypenny, a subscription-based, dedicated outsourced communication handling platform, on securing investment from ECI. Founded in 2000 by Ed Reeves and Rachel Clacher, Moneypenny is the UK’s market leading virtual receptionist, outsourced switchboard, hosted telephony and business communication technology provider. Powered by its proprietary intelligent call routing platform, Moneypenny is able to provide a highly efficient, knowledgeable and professional service to its clients, resulting in high levels of recurring revenue and strong client retention metrics. Moneypenny is the clear leader in the UK, a market with low penetration and significant growth potential. The company is also the only European platform with a meaningful US presence having established its operation on the East Coast in 2015. In addition to international expansion, Moneypenny has positioned itself to capitalise on the long term shift to AI-led solutions in the sector and to deliver automation to its clients through the use of AI and digital switchboard products. This represents the latest GCA Altium transaction in the Tech-enabled Business Services sector.